This spreading, often multi-stemmed deciduous woodland tree is moderately fast-growing to about 20 to 30ft with as much width. 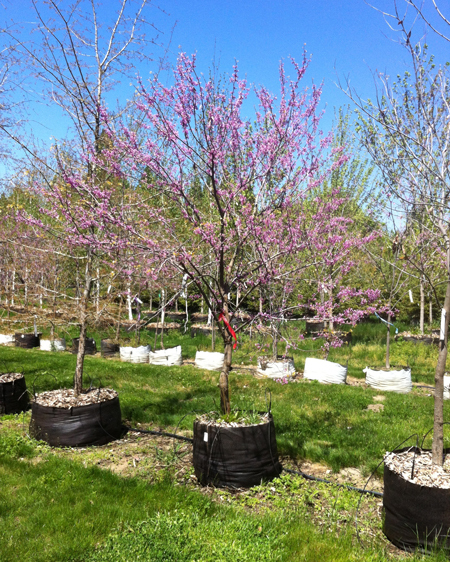 The Redbud's round head develops horizontal tiers with age. 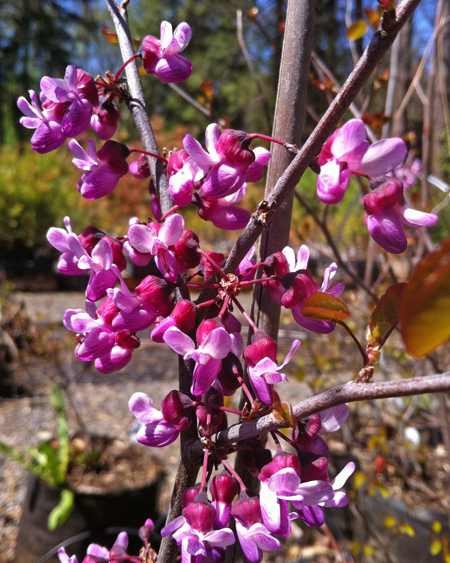 Small rosy-pink to magenta flowers crowd the bare branches before the leaves appear. Heart-shaped leaves, bronze when new, rich green through the summer, and yellow in the fall, follow the flowers. 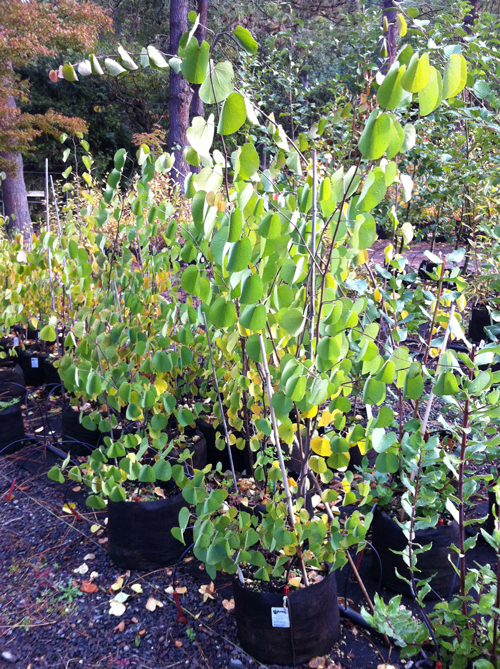 Redbud makes a good understory tree, effective in naturalized areas or as a single specimen. Give it deep, fertile, well-drained, loamy soil in sun or light shade and provide regular water.